Retired British people on low incomes face having a costly and time-consuming carte de séjour application every year for life, if there is a no-deal Brexit and no additional rules are agreed. This is because the rules in the new French decree setting out simplified procedures for obtaining non-EU citizen cards, are time-limited, an Interior Ministry source told Connexion. The decree, fleshing out procedures outlined in an ordonnance published in February, says in the case of no-deal Britons would have to apply for ordinary non-EU citizen cards within six months (and obtain one within a year). They would benefit from special lighter, simplified requirements, notably lower and more flexible means tests, compared to other ‘third country’ (non-EU/EEA) citizens. This includes the chance to obtain a long-term resident’s card for those who have been in France at least five years, or otherwise one of several shorter-term cards, renewable after one to four years depending on your personal situation – mainly related to employment status. A long-term card is renewable after 10 years with a simple application and no means test. The ordonnance also states that on renewal, applicants who obtained the shorter-term cards would benefit from the same simplified requirements as for the first application. However the Interior Ministry source told Connexion that renewal of cards would be at the ‘standard’ cost of these cards to third country citizens. This is currently €269. Furthermore he said that once the six-month application window has closed, those with shorter-term cards would not in future benefit from the decree’s lightened application criteria for obtaining the, different, long-term card after they have totalled five years in France, but would have to apply under the usual more stringent third-country citizens’ rules. This is likely to impact in particular retirees as the only non-EU citizen card relevant to their situation is a ‘visitor’ card lasting one year. They would need to renew the card annually with the same paperwork and at the full standard cost. In addition, many who qualify to stay under the lightened means tests in the decree will not qualify (later, when they have totalled five years) for a long-term card under the full third-country rules, meaning the renewal would be needed every year they stay in France. Standard rules require the applicant to have an income level equivalent to the French minimum wage - currently €1,522 (before social charges and tax) per month, which is doubled for a couple. Under the decree rules you need the level of the RSA income support, this is €560 a month (or €840 for a couple without children, €1,008 for a couple with two children or €1,175 for a couple with two children). The decree rules also say there should be flexibility depending on personal circumstances, especially where people own their homes. An exemption for those with certain disability benefits applies under both sets of rules. Under the ‘standard’ rules, an applicant should also take a French test if they are under 65. If older, the prefecture will ask the person’s mairie about their ‘integration’ in the community. 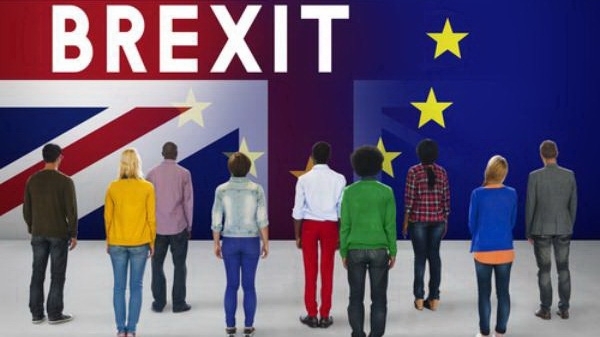 The UK arrangements allow those living in the UK at the time of a no-deal Brexit to apply free of charge to secure their residency rights until December 31, 2020. If they have totalled five years’ continuous residency when they apply (and dependent on criminal record checks) they may obtain ‘setttled status’ a new British term describing a form of permanent residency based broadly on the rights in the negotiated UK/EU deal. Those living in the UK for less time than this would obtain ‘pre-settled status’ and would be able to gain ‘settled status’ once they have been in the UK for five years. The UK settled status application works via a mobile phone app, however it is hoped that Britons in France may also be offered the chance to apply online avoiding the usual visits to prefectures. While the British residency application is in some respects simpler than what is planned in France (eg. no means test or requirements to show healthcare cover) it does require evidence of continuous residency in the UK for every six-month period for five years to acquire the full settled status (though applicants may not have to provide paperwork if an automatic check of government records can find sufficient proof) whereas the French decree rules have dispensed with this.